A campaign to spread the word about the critical importance of supporting babies, toddlers, and their families to foster children’s healthy development. More than 1,000,000 new neural connections form every second in a child’s first few years of life. Show your commitment to improving support for babies, toddlers, and their families. 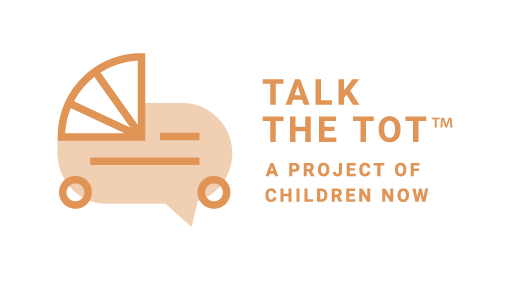 Join us in a social media campaign to Talk the Tot and spread the word about early childhood development and the importance of supporting babies, toddlers, and their families. We all have a role to play in ensuring our children have the best possible beginnings in life. Help us start the conversation. Share your stories about your child’s development, key milestones, support that has helped you as a parent, or how you’ve supported parents of young children. Let our state’s leaders know California must do better in supporting families with young children. Click here to sign up and join a community. We’re proud to introduce leaders who have committed to helping us spread the word. Influencer is an influencer raising awareness on post-partum depression. She’s taking the pledge to encourage better resources so that kids and mothers have access to services to live happily and healthily.